This post is part of a series about how startups can use games to engage their target customers on mobile. We publish a new post in the series every Wednesday, so stay tuned. If you’ve been following this series for the past few weeks, you already know that ad games are a great way toincrease your click-through rates and lower your customer acquisition costs. 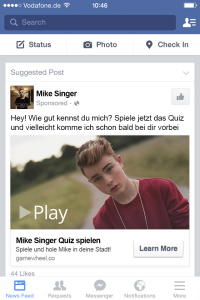 You also know that ad games work great on mobile, especially on Facebook. There are 3 key elements of every ad game campaign: the ad, the game and the landing page. The ad is how you bring people to your game. It tells people, “hey, click here and you can play a game”. Your ad can be as simple as a link in your newsletter or a preview picture on your website. If you want to reach a wider audience, you need to run paid ads in a channel like Facebook, Twitter or LinkedIn. This is the part of your campaign where people literally get to “play” with your brand. Games that tend to work well in ad campaigns use mechanics that are simple, repetitive and rewarding. It’s also important that the game communicates something about your brand, product or service. This is where a user lands after they finish playing your game. 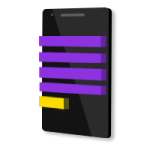 The landing page is typically used to communicate more information about your product/service or capture information about the player, like an email address. You can use an existing website as your landing page or create a customized one for your campaign. Which channel should I run my ads in? What game should I use? What should I include on my landing page? When choosing a channel for your campaign, it’s important to think about who you’re targeting. If you want to reach younger people, Instagram or Snapchat would make the most sense. But if you’re targeting professionals, LinkedIn would be much more effective. 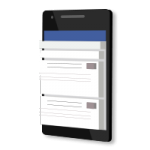 As we wrote in our last post, Facebook is a good all around choice that works well for most campaigns. The demographics of your target audience also affect your choice of game type. We already covered this pointin detail, but the basic idea is that certain game types appeal to certain genders and age groups. 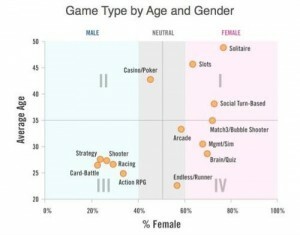 So if you’re targeting young males, you should choose a racing or shooting game, but if you’re targeting older females you should choose a social or casual game. Once you’ve planned out your campaign, it’s time to start creating the different elements. Every advertising channel will have slightly different requirements, but there are two main elements you can play with – text and images. There are also more complex formats like video and rich media, but those are beyond the scope of this guide. It’s best to come up with 2-3 options for each element, and then mix and match them together to create different versions of your ad. This will allow you to run A/B tests to see which version performs best. For the ad images, it’s important to highlight the fact that you’re offering users a game, not just a standard marketing pitch. You can do that by including a screenshot of the game in your image, or just by adding the word “play” somewhere on the image. Once you’ve decided what game to use, you need to go out and build it. If you have the budget or the internal resources, you can always hire a game studio or code the game from scratch. If that isn’t an option for you, you can use a self-service game development tool. With these types of tools, there’s usually a tradeoff between flexibility and usability. On one end of the spectrum, you have developer tools like Unity. They provide you with the freedom to create almost any type of game you can imagine, but you need to know quite a bit about game design and coding to produce something that looks good and works well. Towards the other end of the spectrum you have template-based solutions like Gamewheel. With these tools, you can change certain visual elements of the games, but you’re more or less locked in to the game mechanics. 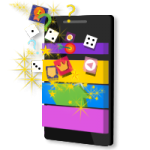 The advantage is that, without knowing anything about coding or game design, you can get a customized game up and running in a short amount of time and still enjoy the benefits of ad games. There are a lot of great resources on the web about how to design a good landing page, and we don’t have too much to add to the discussion. Basically, the idea is to grab viewers’ attention and convince them to complete a conversion. Some of the standard features you can use to do that are a catchy headline, a relevant image, a simple form and a strong call-to-action. 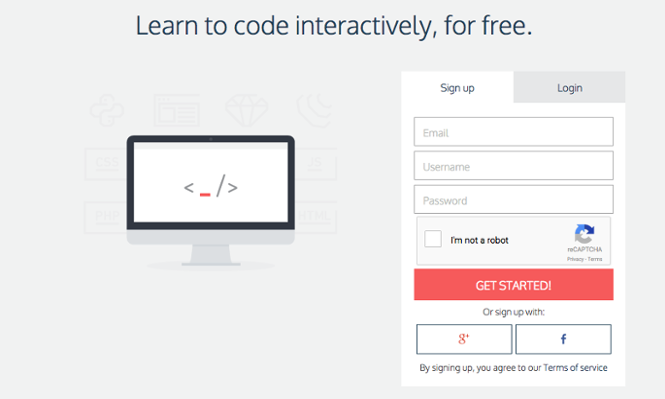 When setting up your initial landing page, do your best to follow these guidelines. But in the end, you’re going to have to test and optimize every feature to see what gets you the most conversions. Luckily, there are a lot oftools out there that make it easy to create and A/B test different versions of your landing page. Once you’ve designed your ads, built your game and set up your landing page, all you need to do is pull them together in the Facebook ads manager. 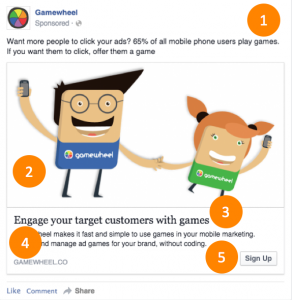 There are also tons of detailed resources on how to setup a Facebook campaign, so we’re going to keep it high level here and focus on the elements that are specific to working with ad games. 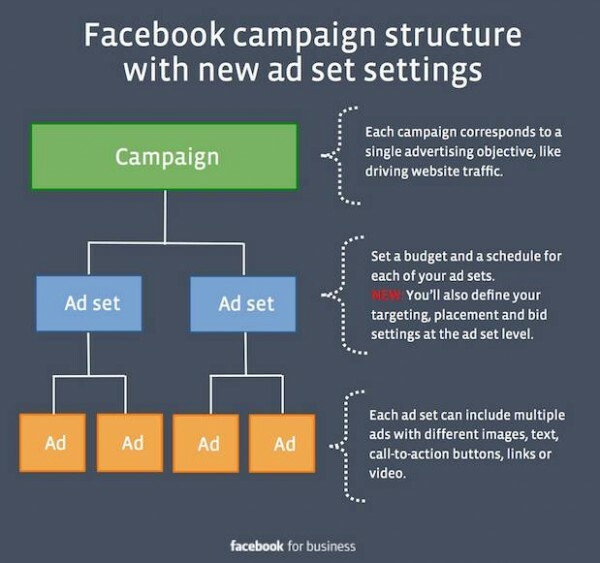 The first thing to know is that all Facebook campaigns have three levels – campaign, ad set and ad. This is the level where you set the objective for your campaign. The options include website clicks, page likes, app installs and others. Facebook doesn’t currently allow ad games to run in the newsfeed, which means that you’ll need to direct players to a webpage outside the newsfeed. So you need to choose “send people to your website” or “increase conversions to website” as your campaign objective. 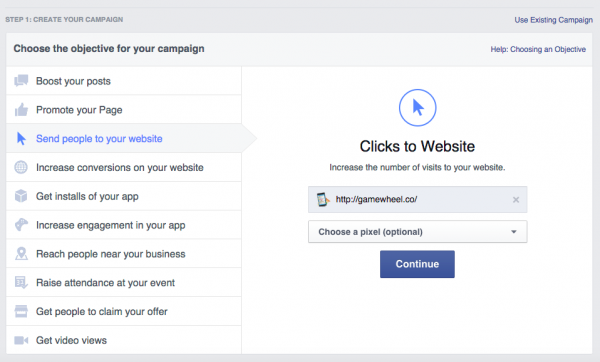 To track conversions, you need to install the Facebook tracking pixel on your website. For conversions to be tracked properly, the pixel should be placed on the confirmation page that comes directly after a user takes the target action for your campaign (e.g. submitted email capture form, clicked sign up, etc.). Facebook makes it super simple to do this by pasting the pixel code between the <head> tags on the page. This is the level where you configure the setting for your campaign, including the budget, timing, targeting and placement (e.g. desktop vs. mobile). Audience targeting with Facebook is extremely flexible and should be decided by the analysis you did when you planned your campaign (e.g. who do I want to reach with my ad game). Once you’ve finished setting up your campaign, Facebook will automatically review and (hopefully) approve it. Once the campaign has been approved, it’ll start running on the date and time you selected. 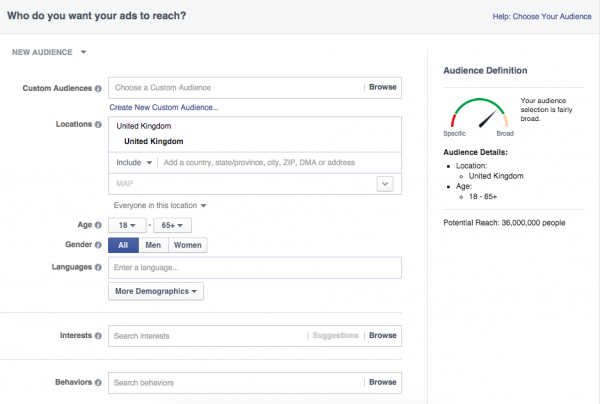 Once your campaign is up and running, you can see information on how it’s performing in the Facebook Ad manager. This provides information like how many people saw your ad, how many people clicked on it and how many of them completed the target action (if you set up conversion tracking). If you want to see details on what players did inside the game, you need to install a tracking solution likeMixpanel or Kissmetrics. This will allow you to see things like how many people loaded the game, what percentage of them actually played and what percentage of them clicked the call-to-action button. If the game development tool you used to create your game doesn’t include analytics by default, you’ll need to implement the event tracking manually with the help of a developer. Now that you understand the basics of putting together an ad campaign, it’s time for you to go out and try it. If you have any questions about the process or are stuck in the planning phase, just get in touch and we’ll be happy to help out. 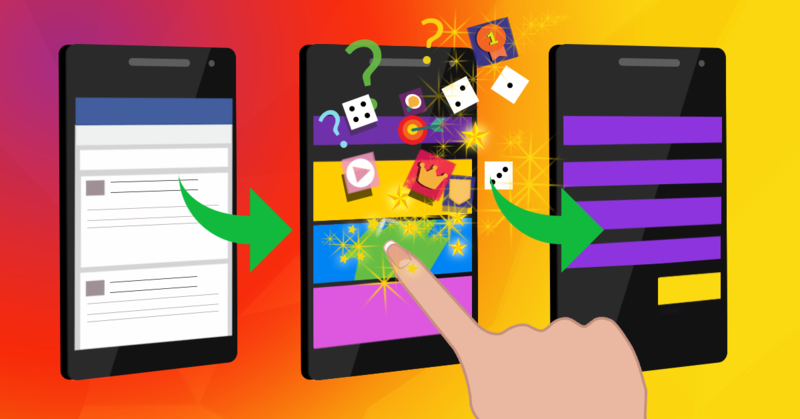 And if you need a fast and easy way to create your game, you can always sign up for a free Gamewheel account and try doing it yourself, without having to write any code.